Sat Nav, Leather, Heated Seats, Active parking, Cruise control, Lovely Condition!! Blending sublime styling with an elegant interior and innovative technology features, the Mercedes-Benz E 220 has no trouble standing apart from the crowd. Available as a saloon, estate, coupé or cabriolet, it offers an engaging ride like nothing else in its class. 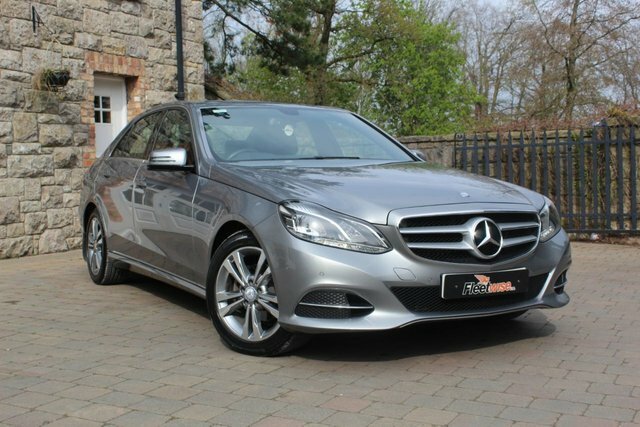 Whether you're ready to arrange a test drive or would like some more advice on the complete range of used Mercedes-Benz E 220 models for sale in Co. Armagh, our team are here to help. Our used vehicles are all listed here on the website and you can be sure of sourcing a quality vehicle to suit your budget when you come to Fleetwise Ltd.